Another tough week winds down, but there was a distraction on Tuesday with the Oscar nominations. I held out a glimmer of hope that The Light Between Oceans would get at least a cinematography, costume, or even an adapted screenplay nomination, just to add some spice to the expected mix and make it an Oscar nominated film. It definitely deserved some recognition even if it was a token nomination. But AMPAS played it safe and stayed with fall festival favorites. I don't know when Michael will be in the Oscar race again, but according to this article at Digital Spy, Michael has confirmed that he would like to delve into directing in a couple of years. Now don't get too panicky, just because he wants to expand his creativity into a different facet of movie making doesn't mean he's going to give up acting any time soon. Lots of actors/actresses produce and direct films, and continue to act as well. And speaking of double duty work where Michael served as producer and director in Assassin's Creed, it's official, according to Box Office Mojo, AC has so far earned $202 million worldwide as of 25 January. So congrats to Michael and DMC Film for hitting that box office milestone! 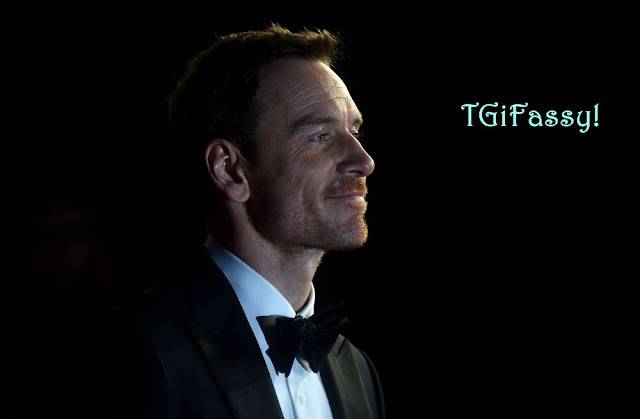 Expect the next few weeks to be very quiet on Fassbender news. There's still hope that he will attend the Song to Song premiere at the SXSW festival in early March, so cross your fingers and stay tuned.